There are a number of major milestones and significant benchmarks within reach for Blackhawks players heading into the 2015-16 regular season. Here’s a look ahead at some of the special numbers we might see this year. 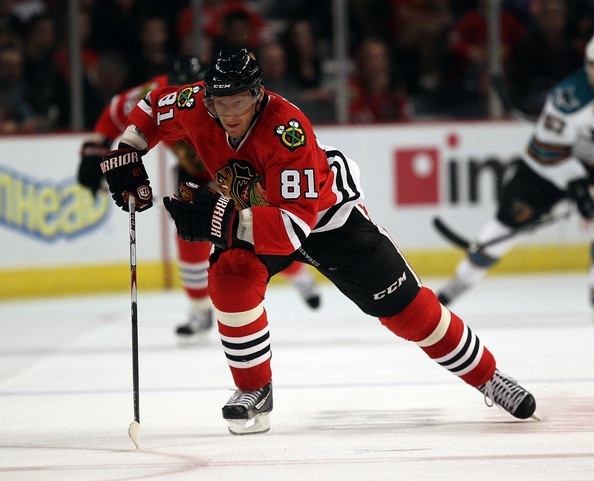 Hossa needs 14 goals to reach 500 in his Hall of Fame career. He also needs only 30 assists to reach 600 helpers in his career, both benchmarks that should assure him of a place among the game’s all-time legends. He also needs just 13 points to become the 32nd player in Blackhawks history to record 350 points while wearing the Indian head. 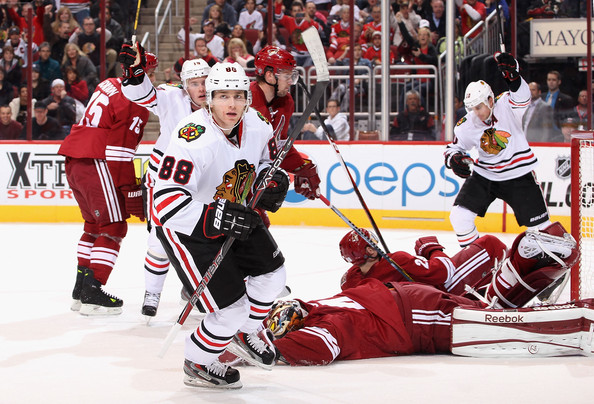 Kane currently ranks 9th in Blackhawks franchise history with 557 points in the Indian head. He need 40 points to pass Jeremy Roenick (596) and 71 to pass Pit Martin (627) and move into seventh in team history. An 84-point season would catch Dennis Hull for sixth. Another 25-goal season for Kane will rush him up the all-time scorer list in the franchise’s long history as well. Kane enters the 2015-16 season with 205 career regular season goals, which ranks 20th in organization history. Only 20 goals ahead of him is Doug Wilson with 225, which ranks 13th in team history. Patrick Sharp departed with 239 goals as a member of the Blackhawks with ranks 11th all-time. Kane is already in the team’s top ten all-time in assists with 352. Adding 48 more would not only reach the 400 assist benchmark, but would tie him with Hall of Famer Pierre Pilote for sixth in franchise history. 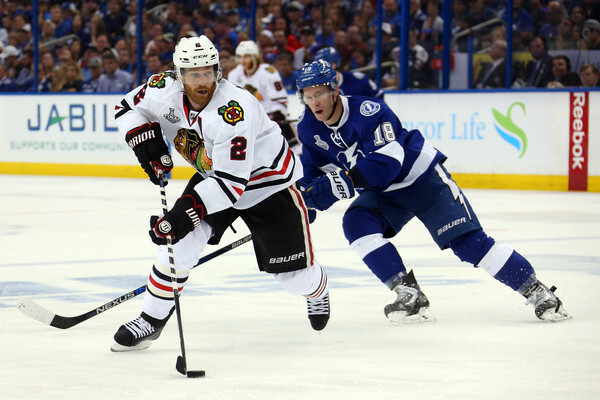 Chicago’s captain is also closing in on some major franchise offensive marks. With 223 career goals entering the 2015-16 season, Toews ranks 14th in franchise history. He is exactly 20 goals behind Martin (243), who sits in tenth place on the team’s historical record for goal scoring. 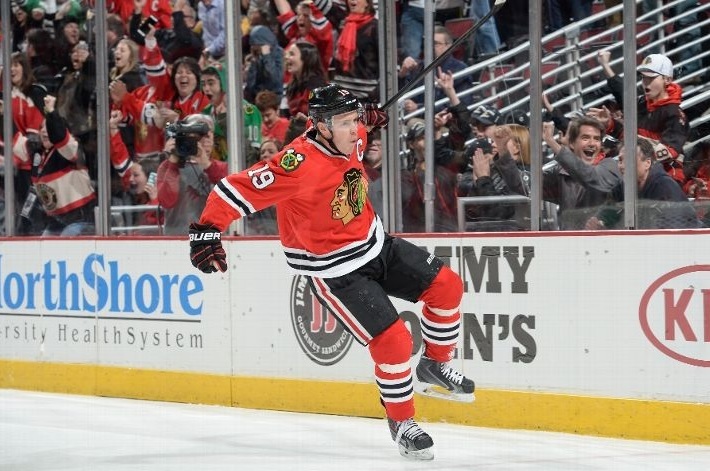 With 506 career regular season points, Toews needs 36 to join Kane in the all-time top ten for the Blackhawks. Tony Amonte (541) currently holds onto the last spot in the top ten. 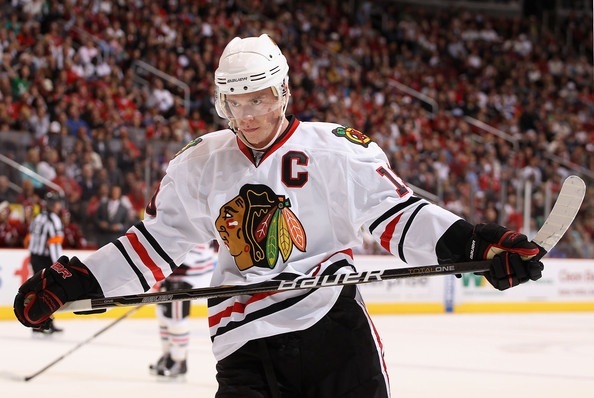 Toews enters the season with 283 assists, which ranks 20th in team history. When he reaches the 300 assist mark, he’ll become the 15th player in the history of the franchise to achieve that benchmark in the Indian head. Toews is 46 assists behind Roenick (329) for 13th in team history. Keith has a few great Hawks names within reach early in the season this year. The future Hall of Famer is currently 12th in franchise history with 340, but needs only three to pass Dennis Hull (342) and move closer to the top ten. Only four defensemen have passed the 350 assist plateau as a member of the Blackhawks: Doug Wilson (554), Pilote (400), Chris Chelios (395) and Bob Murray (382). Keith already ranks fifth among all defensemen in Hawks history with 415 points, and would need 62 to catch Pilote (477) for fourth. He need only three goals to move into fourth, however; Keith (75) trails Pilote (77) by only two in that area. Seabrook comes into the season with 71 career regular season goals, which is four behind Keith and six behind Pilote on the list of all-time great rearguards in Chicago. With 247 career assists, Seabrook needs 39 more helpers to pass Keith Brown (266) and catch Pat Stapleton (286), who ranks sixth in team history. 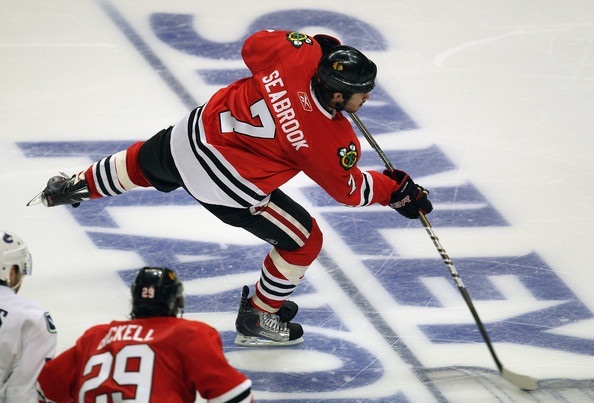 Seabrook needs 32 points to reach 350 career regular season points. For many years the individual player stats were all Hawks fans had to cheer for. Now we have a championship team along with individual players to cheer for. Ain’t life grand as a Hawks fan! Individual accolades but this team has already won three cups,a fourth cup would be the real accomplishment. to SSHM’s ranking the dmen, I would put Keith in 3rd all-time behind Pilote & Wilson already today. Chelios played a lot of his most significant hockey in Montreal & Detroit. And considering his place among his peers, I would say Keith has been better than Wilson. SSHM, Why this ongoing hate for Chelios? If you want to hate on why he left, focus on Dollar Bill. I was a season ticket holder at the time and could barely stand it. #7 is one of the the truly great Hawks and deserves some respect imho. SSHM – Keith behind Murray? I gotta scratch my head on that. I’m not so sure he isn’t at the very top of my list. He has played a huge role on not one, not two but three Cup winning teams, including a Conn Smythe when it takes 16 wins over two months to win the Cup. I believe that Keith has been continually under-rated by most fans due, in part, to his quiet almost awkward personality. Before he is done he will go down as one of the greatest d-men to have played the game – and a helluva second round pick! Sorry to clairify that list wasnt in particular order. The 1st 2 are HOF so they popped in my head 1st. @Negzz Cheli will always be dead to me. Ive expressed my reasoning why on here before. Kane news out of Buffalo isnt good, very early story.